Made from the best 7075 T6 heat treated aluminium sheet. The teeth are cut in the traditional manner on a lathe which produces a much better and more accurate tooth form than pressing which is used by most chainring manufacturers. Surprisingly high quality. Feels durable and looks nice. The business end of the chain ring appears similar in quality to the Campag version but the interior face of the chain ring is not finished nearly as well as the Campag rings. 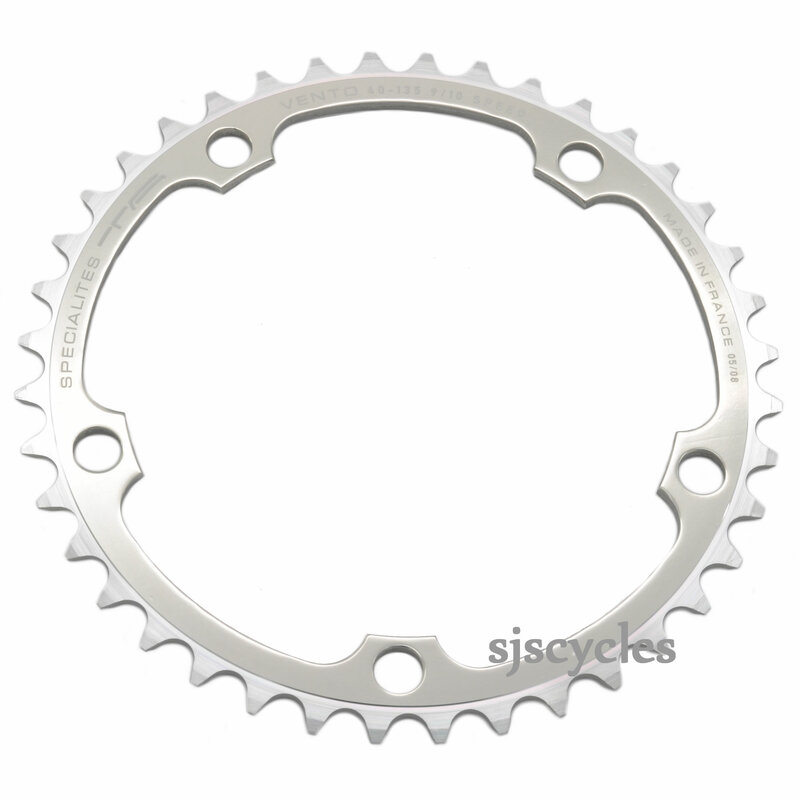 Will this chain ring "TA Vento 135mm BCD Campagnolo Alloy Inner Chainring - Silver" work as a replacement for my vintage Athena 39T chain ring ? This chainring will be the most suitable replacement for your Athena chainset that we'd be able to offer.